You know the drill, wear a wool sweater to work in the summer and layer with a thin t-shirt in the winter. It’s the curse of working in a tall, glassy, climate-controlled building. 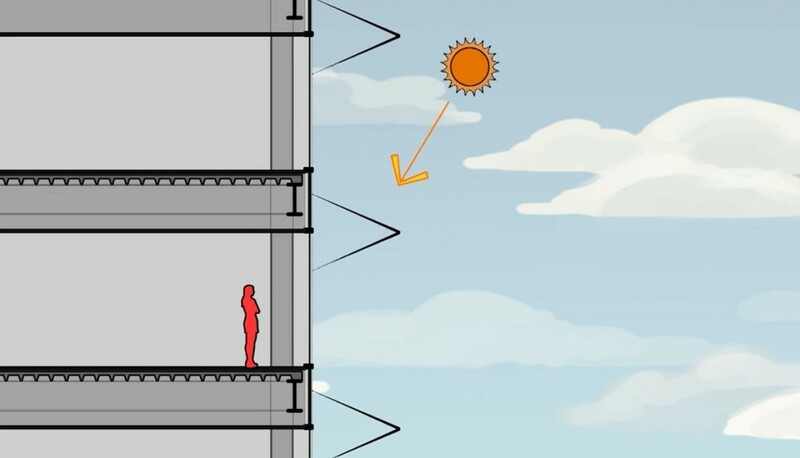 But a new shading prototype called Sunbreak, created by the architects at NBBJ, acts as a skyscraper skin that adjusts on a window-by-window basis depending on the angle of the sun, conserving energy and allowing workers to control office temperatures. Sounds like just what we’ve been waiting for, huh? 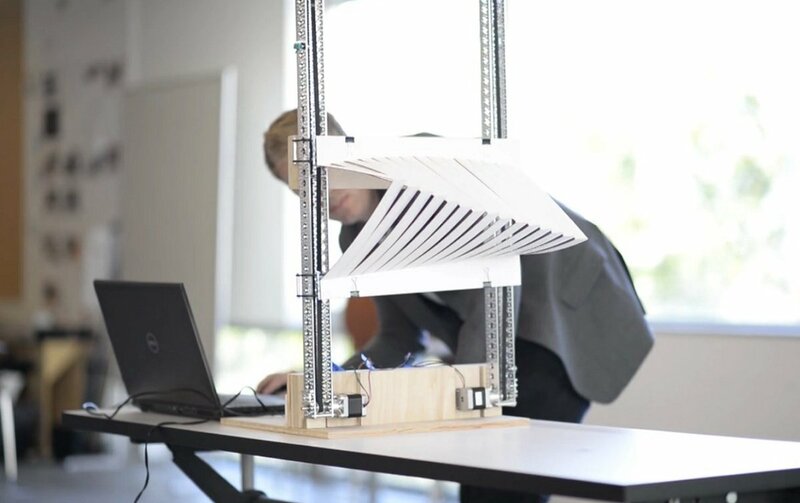 Sunbreak uses sensors and recorded data to measure and respond to solar activity, sliding closed when it’s sunny to block light and heat, while employing solar panels when it’s cloudy to reflect more sunlight inside, allowing the interior space to conserve energy. The design uses a three-hinged shade inspired by an unusual garage door (pictured above) that transforms from an opaque shutter, to an abstract set of vertical blinds, to an awning. Additionally, the panels can be controlled individually, allowing temperate control in each space within a larger office. These changes, including putting the entire skyscraper in energy-conservation mode, can be done right from an iPhone, even when the user is not near the building. Watch the video below to learn more about this smart prototype.